Richard Christian Matheson and Thomas E. Szollosi penned the first episode up this week, There’s Always a Catch, which had an original airdate of 15 November, 1983. When B.A. 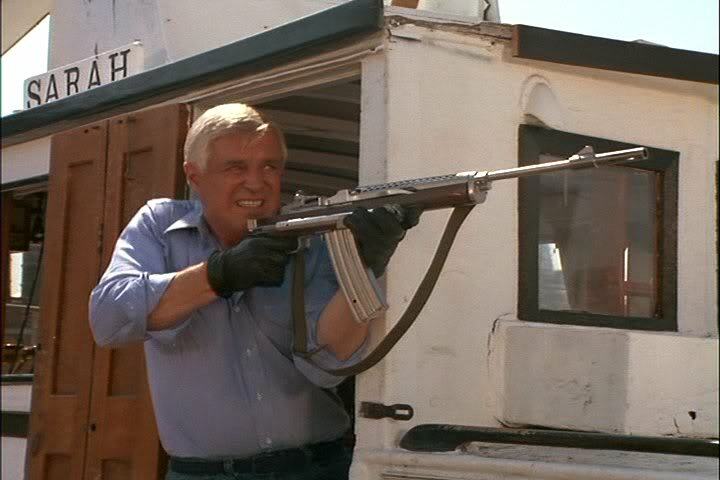 (Mr. T) is injured, stepping on a nail, the rest of the team, as they attempt to elude Decker (Lance LeGault), who only seems to be a half-step behind them the entire episode, deliver him to the hospital, in the small town of Lobster Bay. While there Hannibal (George Peppard) overhears the troubles of Shana Mayer (Tracy Scoggins), while she waits for her injured brother. It seems a man named Garber (John Quade) and his goons are intimidating the local fishermen, bullying them out of half their profits, and not exactly being environmentally friendly in their own lobster catching. So with a hint of environmentalism, Hannibal offers the service of the team, and they set off to save the day, apparently free of charge this time around, simply because they don’t like Garber. But Garber may barter a deal with Decker, and cause some problems for our heroes… When they’re captured, it’s up to Murdock (Dwight Schultz) and Amy (Melinda Culea) to figure out a way to rescue them. There are some really fun moments in this one, we learn that Murdock doesn’t like to use microwaves because of the space hamsters in his blood (yup, I just wrote that) and Face (Dirk Benedict) has an alter-ego, the Magnificent Templeton, a magician, who he uses to con a young woman out of some SCUBA gear for their plan to beat Garber once and for all. Water, Water Everywhere could have dealt with some really good issues, but gets weighed down in the formula, which, already, is starting to get a little tiresome on the show. Penned by Sidney Ellis and Jo Swerling Jr. this episode had an original airdate of 22 November, 1983. Three vets, each one of them handicapped by the war in some way, have come together to work on, and open a little hotel in a tiny little town (a very recognizable standings set), but the local baddie, Frank Gaines (Alan Fudge) wants them out so he can claim the land they are on, and get at the spring water underneath it. In fact, he’s quite willing to go about this as violently he can, and is also willing to let the whole town dry out if he doesn’t get his way. When the three vets end up in the local VA hospital, Murdock convinces them to give the A-Team a chance to take care of the problem for them, and after some encouragement, agree. The boys come into town, and start causing problems for Gaines right off the bat, and of course, fisticuffs, and plans ensue including the typical creation of a weapon/tank of some sort that despite its violent actions, doesn’t cause a lot of damage to life or limb. I think I would have been more interested in this one, if it had focused on the Team interacting and dealing with the vets, these three guys could have been them. It could have forced them to confront a lot of the things they’d pushed down, or tried to forget about the war… but alas, it’s not that kind of show. 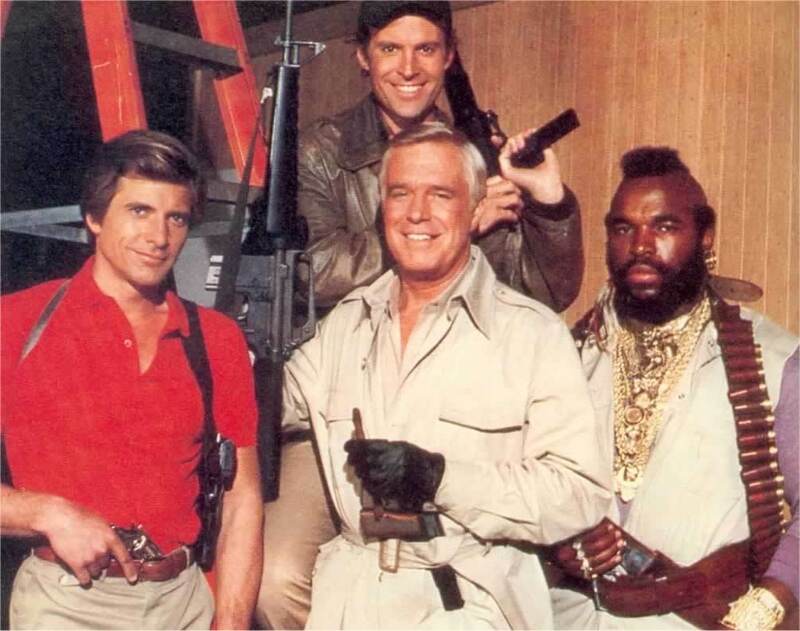 Until next time, remember, if you can find them, maybe you can hire… The A-Team!